Piracy today is often presented as the definitive transgression of the information age. There are pirate movies and pirate music, obviously, but there are also pirate pharmaceuticals and seeds, pirate toys, and pirate aircraft parts. Anything that can be construed as information—and in this age that means anything at all—may be subject to pirating. This means that controversies about piracy reveal the foundations of our age as few others can. In particular, they highlight a central problem: how to reconcile the realms of creative authorship and commercial life. In Piracy I make the point that those controversies are not at all new. They have raged since the 1600s, taking different forms in different contexts but always forcing participants to articulate important principles on which creation and commerce might be allowed to intersect. So, for example, in the eighteenth century metropolitan publishers fought against provincial and international “pirates” to preserve their claims to a perpetual “literary property” in printed works. Their clashes defined and publicized what became central concepts of the Enlightenment, and hence of the modern cultural economy: authorial rights, the rights and duties of readers, the authority of the public, and the need for a balance to be struck between monopoly and liberty—between openness and property—for the sake of progress. In the nineteenth and twentieth centuries, similarly, the ideal of modern science as an objective, collective, and public endeavor took shape through a long series of clashes centering on alleged piracy of industrial research. The distinctive funding and publishing mechanisms on which today’s science depends emerged from those clashes, which climaxed in the 1930s and ’40s. In these ways and more, defining elements of our late-modern world reflect the history that Piracy reveals. I came to this subject from working on the relation between the scientific revolution and the printing revolution. In the 1450s, the printing press was introduced to Western Europe by Johann Gutenberg. From about the same time, a massive transformation in knowledge about the natural world began that would culminate in Isaac Newton’s Mathematical Principles of Natural Philosophy in 1687 and ultimately in the creation of modern science. The question I originally wanted to answer was this: how did printing and science, both being practical activities concerned with knowledge, affect each other in that revolutionary period? The answer I came up with was quite unlike conventional views. The emphasis tended to be on the intrinsic power of the press to multiply identical copies of texts. But to me the character of “print culture” was much more ambiguous. The printers had generated their own customs and conventions, which were not necessarily conducive to stabilizing knowledge. And the scholars and experimenters had had to band together to make print into a useful tool for science. 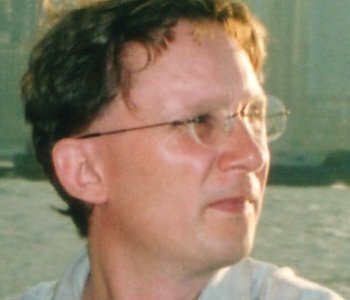 They created editorial techniques, new genres (the scientific journal and the experimental paper), new notions of authorship, and new reading strategies to do this. This argument was laid out in The Nature of the Book: Print and Knowledge in the Making, which was published in 1998. It was in the course of writing The Nature of the Book that I became aware that in the early modern period accusations of piracy had originated and proliferated. That gave me the idea to pursue their history from that era to the present. 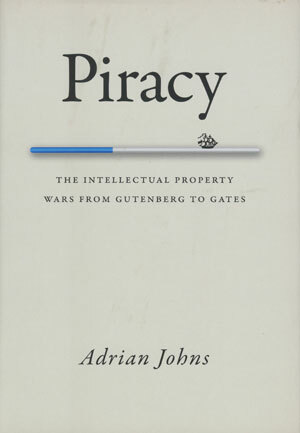 The common thread between The Nature of the Book and Piracy is that both look for answers about today’s major cultural questions—the identity and origin of science, the character of the media, the problems of the information economy—not in high concepts, but in the mundane, everyday commitments out of which such concepts must grow. The focus is on the actual people, places, and practices that have shaped entities like intellectual property. So readers will find both books populated with real human beings, facing complex and intractable problems and doing their best to tackle them with the cultural, practical, and technical means at their disposal. I think that this is the essence of history; even the greatest issues of an age have to be comprehensible in such terms. The dominant premise in evolution and economics is that a person is being loyal to natural law if he or she attends to self’s interest and welfare before being concerned with the needs and demands of family or community. The public does not realize that this statement is not an established scientific principle but an ethical preference. Nonetheless, this belief has created a moral confusion among North Americans and Europeans because the evolution of our species was accompanied by the disposition to worry about kin and the collectives to which one belongs. [T]he Holocaust transformed our whole way of thinking about war and heroism. War is no longer a proving ground for heroism in the same way it used to be. Instead, war now is something that we must avoid at all costs—because genocides often take place under the cover of war. We are no longer all potential soldiers (though we are that too), but we are all potential victims of the traumas war creates. This, at least, is one important development in the way Western populations envision war, even if it does not always predominate in the thinking of our political leaders.